Why are kids so picky? When Brooks is away on a Tuesday, it is pizza night in the Stewart household. Braxton and Connor used to be strictly cheese only. While away, Braxton tried pepperoni for the first time and decided that it was his new topping of choice. As the older brother does, so does the younger brother follow. Connor now eats pepperoni only. They think that cheese is terrible, even though that is what their pepperoni pizza only without the pepperoni! Kids… They drive me crazy some days and then they flash their cute dimples I am mush. I was thinking of them when I started thinking about nacho recipes that I wanted to share. Pepperoni pizza in particular but in an easier method to share. What do you do if you don’t want a whole slice? Don’t get dressed and drive to a pizza place to order one slice, if they even sell by the slice, and then have to drive home where your pizza slice is now cold. Don’t worry about all that nonsense just grab a few pieces of these nachos! 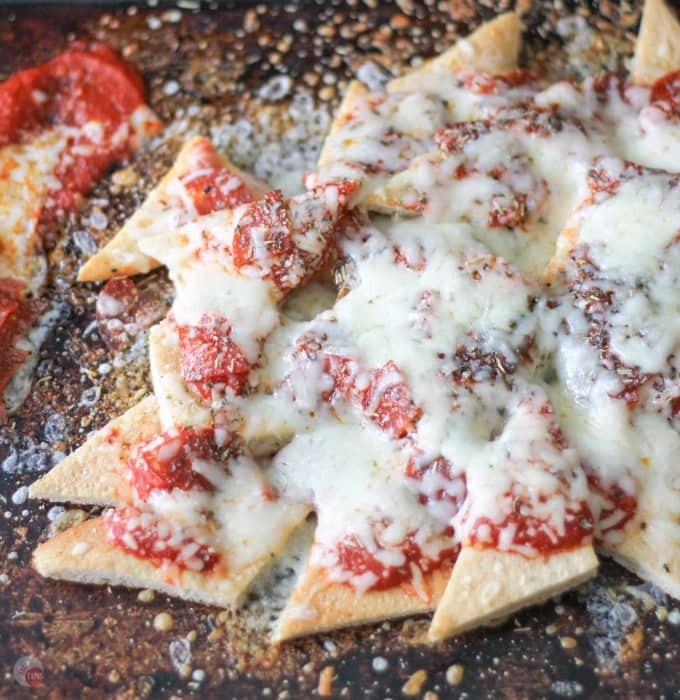 Tortilla chips, even though they are the gold standard for nachos, are never going to work with my pizza nachos. They work for other nachos but I didn’t even use them for my Italian Nachos or my Gyro Nachos. I could use them and put cheese and pepperoni on top but it seems like such a cop-out. Besides, corn tortilla chips might be a little strange with tomato sauce and cheese. New nacho chips for my pizza nachos? What can I use for chips? The very thing that makes pizza great, THE CRUST! It is all about the crust. Especially a thin crust… Once you cook the prepared crust and cut them into “chips” you can start adding the good stuff: the toppings. Load them up with sauce, pepperoni, and lots and lots of cheese!! Pop them back into the oven and melt the cheese and get the nachos all hot and bothered. When they are done, you can serve them right from the baking sheet. No other dirty dishes. For some, deep dish is the way to go, but I am a thin crust girl. 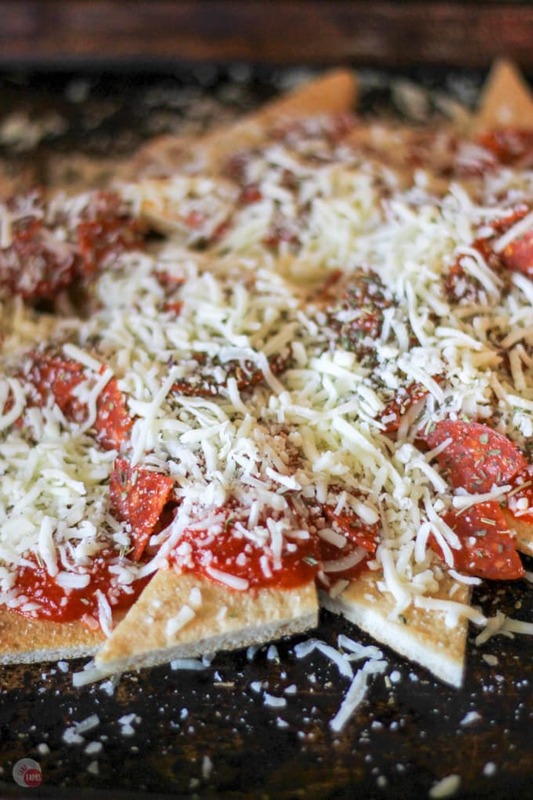 The chips for my pizza nachos are made from prepared pizza dough rolled out to a medium or thin thickness. If you want to go thinner you can, but the melty cheese might cause them to break a bit. I just sliced them on the diagonal to make traditional “chip” shapes and off I went. Having these toppings on pizza crust chips is really like eating a tiny personalized pizza but on a sheet pan for sharing with friends. If you can stand to share. Your favorite pepperoni pizza is now nachos! 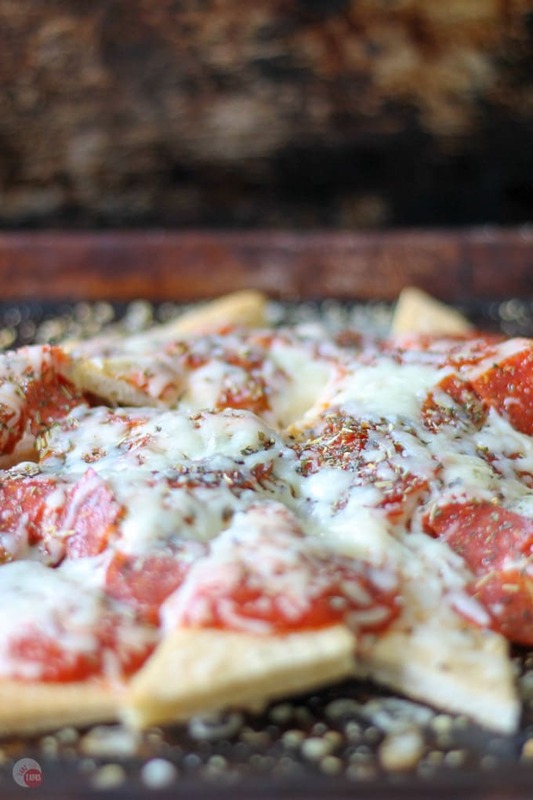 Tangy pizza sauce drizzled on crispy pizza dough crust chips, topped with pepperoni and melted cheese. Roll out pizza dough until thin. Brush with olive oil and salt. Bake as directed or until cooked. Remove from oven and slice into chip-sized wedges. Drizzle or spread the sauce over the chips. Place pepperoni on the sauce and chips. Cover with cheese, crushed red pepper, and Italian Seasoning Mix. Bake at 350F for 5 minutes or until the cheese is nice and melty. Serve to your hungry guests! *If you like this recipe don’t forget to rate it with some stars! 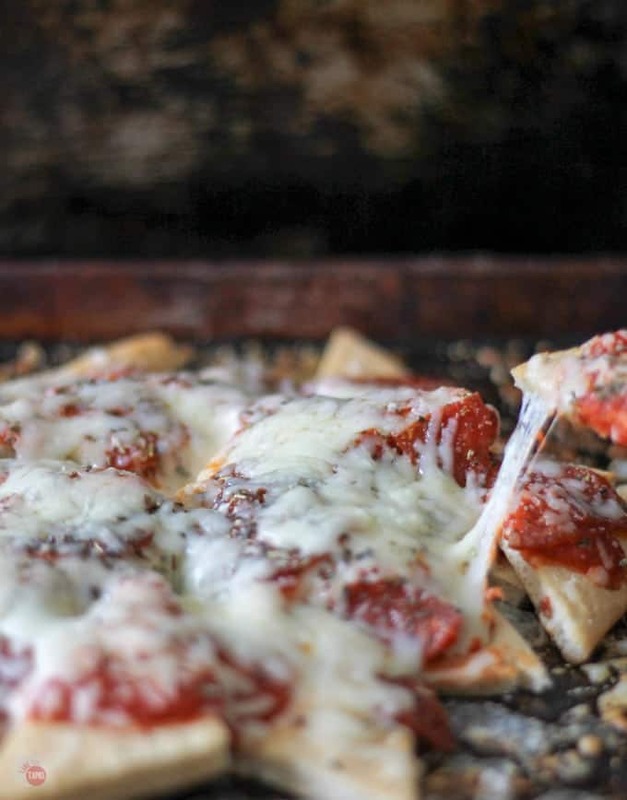 Grab some of your friends, or sneak away by yourself and make some pizza nachos. Maybe they can be your new choice when the kids want a pizza night! What toppings do you prefer on your nachos? Make your favorite pizza into nachos and tag me on social media with the hashtag #pizzanachos so I can see your creations! « Gyro Nachos with Pita Chips for Game Day! Dimples are hard to resist! This is genius J! It’s perfect for when I want to eat pizza, but not overdose on it! (Although knowing me, I might just eat it all anyway!) It looks AWESOME! Me too! I just ate the whole pan in one sitting! 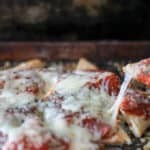 Oh wow, I love both pizza and nachos, combining the two sounds amazing and I love that you made the chips using pizza crust, yum! Varying toppings is definitely a bonus when people have different tastes. That way everyone is happy and that is so essential with kids in the house! 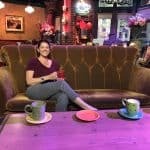 Jennifer–Crazy good!! Tate and Layla would both inhale these in no time!! What an awesome idea! I can see a lot of different toppings you can use for this dish. My family would love this. I love that you can add all your favorite pizza toppings!